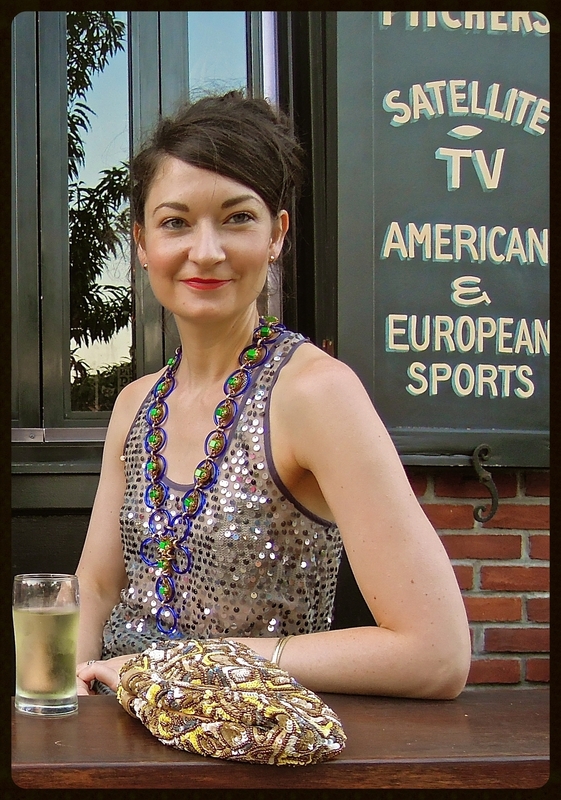 My passion for vintage jewelry began in 2003 when I started scouring the NYC flea markets for discarded but beautiful vintage and antique elements. The materials I was discovering instantly inspired me to begin designing jewelry which I've been doing ever since. I've held on strongly to what initially sparked my creativity and to this day I only use vintage or antique elements in my work. Living in NYC, as any artist knows, you need a "day job" to make ends meet. So when I was presented with an opportunity to work in a vintage/estate jewelry boutique I didn't hesitate. In fact, for as long as I can remember I've dreamed and fantasized about having a shop of my own. At times, when I doubted it would ever really happen, I would sketch little drawings and vignettes of how I pictured the shop. So for eight years I worked hard at the job I was offered...I absorbed everything I could about vintage and antique jewelry, I perfected display work and customer service and I was immensely happy! I eventually became the manager and amongst the normal responsibilities of that role I was in a position to do some of the buying and pricing. I was so proud of the shop's success and loved it like it was my own! I felt very "at home" yet I was constantly aware that this was not the dream. Eventually, the time came to be brave and use all of the skills and knowledge I'd acquired and open my own shop. It would be a giant step, a huge risk, but I could feel my whole body saying it was time. I took a small space in Manhattan in September 2015. And I am proud to say that it is successful! Every month proves to be better than the last and I am immensely grateful for all that I learned over the years. I'm incredibly happy and proud of what my little shop has become. After being open for just a few months, I came across my old drawings...and believe it or not, the sketches of my fantasy shop looks very much like the actual shop! I now have them hanging in the store to remind myself of how hard I worked and how long I held onto the dream. It was ALL worth it, I wouldn't change a thing!